When it comes to buying a car it often means choosing between leasing and auto loans, but it's not always necessary. Even if you have credit problems both of these are great methods to use to buy a new or used car with poor credit today. Some people may like the benefits from a lease, while others may prefer traditional car loans. That is why we want to make sure that car lease versus auto loan argument is properly conducted. This way car buyers can get the best lending opportunity. If these are some of the benefits you are looking for when shopping for a car it is obvious that you should apply for a car loan today. It doesn't even matter if you have good, bad, or no credit in most cases. However, there are some disadvantages that people should be aware of before filling our an application. The decision to undertake a lease is one that provides a number of great qualities to people who do not want to be locked into one vehicle year-after-year. Unfortunatley, like the decision to finance a car, people can also find some not so pleasent benefits to auto leasing market as well. Finding a lender that offers car financing is easy, but not the same as locating a finance company that can handle your specific credit situation. A person's credit and financial status will often times play a huge role in auto loan approval for people. Certain lenders, like banks and credit unions want to see that you have an above average credit rating, while other places are willing to accept individiuals with poor credit scores. Much like the financing route a person's credit and financial stability is often questioned when trying to obtain a lease, but often at a more extreme level. Dealers expect buyers to pay large up-front fees, and it's also more difficult to escape a lease due to termination fees. 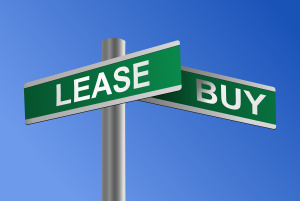 More importantly, leasing can be an ongoing circle if you do not decide to purchase your vehicle, as you would have to continue to lease a new car every 2 to 4 years. Which Car Buying Method is Better? It is very difficult to say that one car buying method is superior to another, as they are solely based up your financial status. However, it is much more likely that the finance option will fit anyone regardless of their financial or credit status.